COMPUTERS have long been an essential tool in Mzansi which is why it is critical children are taught how to use them. The SunTeam spotted Oagile Rakolle (12) and her little sister Gontse (9), playing with a computer and wanted to find out if they were playing games or watching a movies. “We’re learning about programming,” said Oagile. She said they love subjects that challenge them such as maths and science. The girls attended a workshop in Northgate, Joburg, where they learned about programming and other computer careers. “Programming will improve my thinking and reasoning ability. The two girls are from Meredale Primary School, south of Joburg. While they were thrown into the deep end, they seem to enjoy what they have learnt. The girls didn’t learn everything at once. They had the opportunity to learn about computers at a young age. For the past three years, their mum took them to Eduweek programmes, but they weren’t shy to learn difficult subjects like computers. Gontse said there is nothing to fear about computer programming. 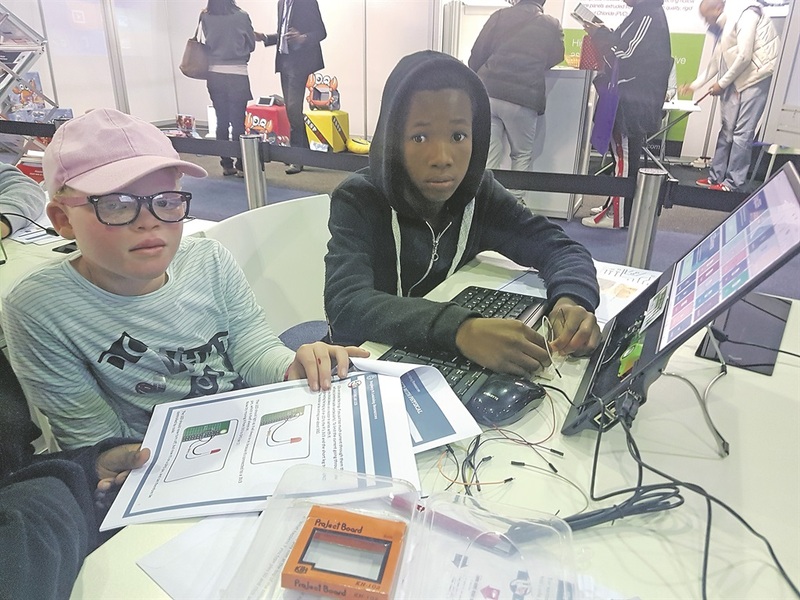 Anathi Tsenene (9), from Cosmo City in Joburg, says computer programming is difficult, but his mum Ntombi says the technology is dominating the world like nothing before it. “Give a child a smartphone and you’ll be surprised at how well they’ll operate it. “But children from poor schools will never understand the importance of these resources. Mellisa Govender, marketing director for RS Components said: “Kids are the engineers of the future and need to know the workings of computers.